Lou Roberts has been working in the field of learning and performance improvement for over 25 years. Over that time, he has helped his Fortune 50 clients execute on their business objectives through their learning and knowledge management initiatives. Lou has a wide range of skills to serve clients including instructional design, technology-based learning design, strategic planning, and the design of change management processes. Lou is known as a long-term high-relationship consultant. Lou's first corporate consulting experience at Minolta lasted six years during which he was a fulltime contract consultant responsible for creating multi-media training programs for Minolta's internal sales and maintenance staff as well as for their customers and end-users. Later Lou was brought in as a consultant to a project with AT&T, beginning a relationship that lasted over 17 years throughout the company's various incarnations as Lucent Technologies and then Avaya, Inc. Originally responsible for creating sales training programs, Lou's skills in more strategic capacities were quickly recognized. Over the decade and a half relationship – which continues today – Lou eventually became in charge of the design of Avaya's sales training curriculum – as part of a highly touted example of internal/external partnership. Lou was most known for the creation and implementation of Avaya's most successful Executive Sales Training curriculum to date: The Executive and Solutions Selling – Business Acumen (ESSba) program. In 1994, Lou joined up with Hal Christensen to form Christensen/Roberts Solutions, a successful consulting and developing company in the area of Electronic Performance Support Systems. Lou and Hal met as members, and eventually back-to-back Chairmen, of the ASTD Metro Chapter Instructional Design and Development Special Interest Group. They also served with Gloria Gery and other early EPSS innovators as founding members of the Performance Support Leadership Council. You might also remember Lou from his regular appearances on the PBS series “Educational Computing” in the early 1980's. In this monthly television series with a two-year run, Lou discussed new applications of microcomputer technology as a result of his role as Technical Director of Microcomputer Technologies at EPIE/Consumers Union. Currently, Lou is using his experience in cultural transformation and change management to help a leading organization in the healthcare industry address the challenges brought on by new HIPAA and compliance regulations. Lou has also recently brought together his love of educational design and his passion for offshore sailing with the release of “Weather4Sailors.com,” a portal of weather-education related resources that he created with internationally-recognized offshore sailor, Bill Biewenga. Lou is also an accomplished offshore sailor with two Transatlantic races and numerous offshore deliveries under his belt. Lou has an M.A. in Educational Technology from Teachers College, Columbia University. He graduated from Bowdoin College with Honors with a degree in Romance Languages and Economics. Hal Christensen has been designing instructional materials for over 30 years. He is nationally known for his contributions to eLearning and Electronic Performance Support design, having presented his work and his ideas at over two dozen national professional conferences since 1984. During that time, he has designed and created large variety of successful eLearning and knowledge support programs for many of the country’s largest organizations. Starting originally in the field of education, with stints as a high school teacher, college professor, and textbook developer, Hal joined J.P. Morgan as a product knowledge designer/trainer. He later joined Sterling Resources to direct their CBT and Performance Support services, and, in 1994, joined Lou Roberts to form Christensen/Roberts Solutions. In the early days of the PC, Hal pushed the application of the technology well beyond the norm. His vision of computers as tools to promote both learning and performance led him to pioneer their use as performance support tools, testing tools, and as simulators of a vast range of work environments. 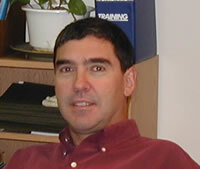 His simulations included models of complex financial transactions (foreign exchange), sales (discount brokerage), software applications (NASDAQ ‘s Workstation 2), and even softer skills (interviewing), for which he developed techniques for creating user-computer dialogues featuring free-form text entry. He also designed OnQuest, the first commercially available tool for authoring Electronic Performance Support Systems, which enabled clients to drastically cut the cost of training call center representatives by 80 percent. As a partner in C/R Solutions, Hal has continued to expand the reach of computer and web-based technology in the learning and support field, creating powerful models for concurrent performance support systems for application end users, performance toolkits to support knowledge workers through complex processes, and blended learning solutions to ensure that managers both learn and apply softer skills to the hard realities of the workplace. He has headed up projects to provide those solutions to numerous organizations, including UBS PaineWebber, Prudential, AT&T, Lucent Technologies, ADP, PricewaterhouseCoopers, Merrill Lynch, State Street Corporation, Thomson, and Memorial Sloan Kettering. Hal has a Masters degree from the University of Missouri.